First and foremost, the job of a marketing automation platforms is to make the job of a marketer a little bit easier. Designed as organizational tools, they take care of some of the more mundane, routine tasks that can become time consuming – but are still necessary in order to nurture customers throughout the sales process. However, that doesn't mean your platform will do everything. It’s important not to abuse the convenience of automating all of your work. It is still necessary to incorporate human interaction and thought within the process in order to ensure your marketing efforts truly work. 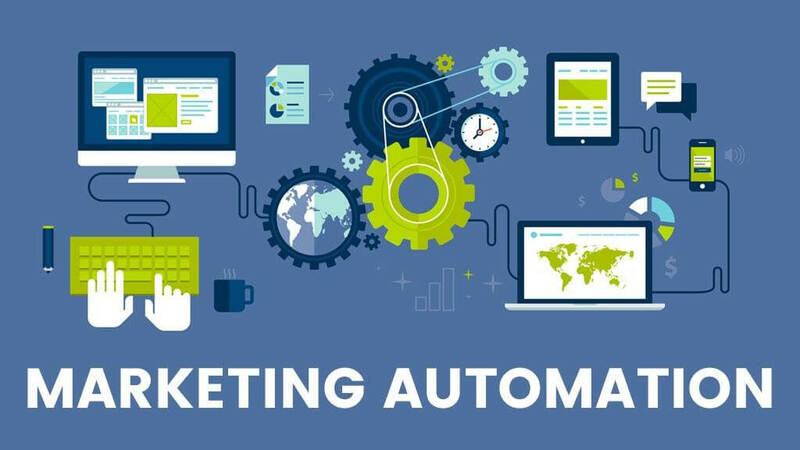 Therefore, an effective automation system, in combination with traditional marketing and sales interactions, will ultimately help to attract quality visitors, convert those visitors into leads, close those leads into customers and, finally, delight those customers to keep them coming back for more. But how do you really know if your automation system is working to boost your return on investment? Chances are, your employees have spent a generous amount of time producing valuable content to share with customers – don’t let this hard work go to waste! If your viewers aren't seeing this content, then the result is a lot of wasted time and money. This is where your marketing automation platform should come into play by working to expand your content’s power. For example, rather than taking the time to plan an entire calendar of social media posts to follow new blog content updates, a system can be set in place that will automatically send those updates for you. Already, this option can save your employees a vast amount of time when you consider the 10-15 minutes each day they would have spent logging in, drafting and publishing social media posts. This time saved using an automation platform is apparent, but revenue driven, not so much. But, that doesn’t mean it’s not happening. Because automation systems enable content to be sent out more often and with further reach, it's more likely that your customers will be getting to know your brand and product(s). Plus, automation systems are often able to decipher who your viewers are and what kind of content they’re more likely to be interested in. The benefits of personalization will potentially support leads through the sales funnel: a brand new viewer downloads a content offer, for example, and they are now a contact. Unlike someone who has never downloaded an offer, a lead will now see more in-depth content to learn more about your products. This cycle continues as they move further down the funnel and your automation platform drives the process. It's likely your employees will work directly with that lead in order to make a final sale, but the system will actuate much of the time consumed during the earlier stages of the buyer's journey. As a result, marketing automation platforms are acting as an additional sales employee, aiding in a customer’s product research. Though ROI is a bit difficult to measure for this, a system used correctly will be driving revenue by growing your customer base. The effects of an automation system aren't always directed toward the consumer. It also helps you efficiently run your own management. Instead of manually compiling data from separate sources to track the effectiveness of your campaigns, your automation platform should provide convenient analytics tools all in one space. You can track your website, customers, social media, keywords, competitors and more — all within a few clicks of a button. Again, this saves time, energy and, perhaps, even the money you may have previously spent on additional tracking software. With all of this valuable information easily at hand, you can make better informed decisions on future marketing campaigns. Your last email didn’t have a great click-through-rate, but your social media sources were booming? Maybe your buyers are living in the social space, and not so much on email. Some automation software platforms, such as HubSpot, even allow you to perform A/B testing. This allows you to try different things and see what resonates well with your audience. Discovering points like this will help in creating better marketing - and more sales as an end result. As mentioned earlier, nurturing your leads is important for driving sales in an efficient manner. However, it's just as important to continue nurturing existing customers and making sure you’re fulfilling their wants and needs to keep them coming back for more. Traditionally, this would involve your salespeople taking time to revisit old charts and determine the who, what, when, where and why before approaching a customer. Wouldn’t their time be better spent doing something else? Your marketing automation platform should perform these two tasks to help maintain your customer’s delight: First, automation systems should continue to send out new content to your customers. This could be in the form of guides, white papers, videos, social media, you name it. This continues their learning process and may encourage a customer to purchase more. If that’s not enough, automation systems will enable your sales team to take the more traditional route, but in an expedited way. Some systems provide sales representatives with alerts for when a customer may need a little more nurturing and can even suggest how to execute it. The vast organizational resources that marketing automation systems provide will free up sales time, nurture existing customers and really spur more revenue. Wouldn't it be wonderful to track a lead's content downloads, what they've been looking at on your website and what they've tweeted about you? Well, a proper marketing automation platform will compile all of that data for you and provide insight on that lead's interests. Using this information, a marketer will be better able to provide relevant content and nurture contacts through the marketing funnel. Generally, this is done on a broad spectrum, following different buyer personas through and discovering what is/isn’t important to them, but it can be extremely beneficial on a one-on-one basis. Personalizing a customer’s experience can help create a sale. To make it short and simple, marketing automation platformss can provide “lead scores” for your contact database. Depending on a contact’s activity, automation systems will assign a number to reflect their supposed interest. For example, if you have a contact that signed up for your email list, but then quickly unsubscribed, they may have a low score. But if there is someone who has subscribed, clicked through to linked pages, tweeted about them and then went on to download more content, they will have a higher score. Using this lead score criteria, your sales team will be able to determine who is more likely to buy and continually invest their efforts into better targeted contacts to help drive more revenue. Marketing automation platforms can gain a bad rap, but only if you use them incorrectly. Don’t let the robots take over, instead view your system as an organizational tool that will lend a hand to your sales efforts. When used correctly, marketing automation systems will greatly improve quality for creating, tracking and implementing marketing efforts. Ultimately, marketing automation make your life easier and help to drive more revenue for your business. What is An Ideal Customer Profile (ICP)?